Sometimes I wake up at 4:30am in the morning and ponder over things. I don’t want to, I just can’t get back to sleep. On the weekend I was pondering over whether technology was making my life easier or harder. Certainly I seem to be working a lot more hours and have my fingers in a lot more pots than I use to, but I feel this probably isn’t so much caused by by technology, rather its something that technology allows me to do. Technology does however simplify some things and recently has started to make me “device independent”. That is I am no longer locked into “my computer” or “my phone”. I need to track time between my projects, so I use a free web based product called Activity Tracker Plus. I can push the go button on a project, and it will record how long I spend, until I push the off button. Interestingly I can walk out the door and push the off button on my phone, rather than run back to the computer. I can also add notes to each entry. This makes life a lot easier for billing my time, or gaining insight into where my time is going. For keeping track of what I need to do, I use a product called Remember the Milk. This allows you to create tasks with a wide variety of attributes such as due date, priority, category and location. It has interfaces optimised for the web, and a separate front end optimised for the iphone and another for the ipad. The back end data is stored somewhere out in the cloud and it syncs automatically to each device I use it on. I don’t like the name but am in love with the product. The third main thing I have on my Control Panel is my Calendar. It is small view of my Google Calendar, which I can look at separately on the web, or on my desktop, iphone and ipad – where its all syncs automatically. This automatic background syncing is critical to me as I can’t be trusted to manually do it. I use two different products to manage documents. When collaborating with others, I use Google Docs. This means that I can have a look at a spreadsheet anywhere I have a web browser. Alternatively If I’m just working on something myself and I want a bit more power, I use Open Office and store all my documents in Drop Box. Drop Box then Syncs these documents onto all my devices. My google based control panel gives me a view onto both types of documents. What type of entrepreneur are you anyway? I spoke at the Startup Weekend last Friday night on building valuable networks, but got asked by three people before the event – “who is the target audience of the Churchill Club?”. The simple answer is entrepreneurs, but the real answer is unsurprisingly, a little bit more complex, so I normally talk about the spectrum of entrepreneurship first. I see basically 5 classes of entrepreneur, regardless of whether they are social entrepreneurs or commercially focussed. Aspirational entrepreneurs are normally students or people in the early stages of their career. They like to attend events with inspirational speakers, can quote from entrepreneurship books written by Steve Blank , Rob Ryan and Michael Gerber and are forever refining their business plans and asking for opinions. They are searching for a full proof plan, and resist launching their business until they accept that failure and evolution is inevitable and to be embraced not avoided. Hobbyist entrepreneurs are normally academics, software engineers or marketers that have built a small business on the side. They generally label themselves an entrepreneur rather than their day job. Their businesses rarely grow though until they fully commit themselves and depend on its income to feed themselves. Entrepreneurs are generally ex employees who have taken an opportunity that their employer didn’t want to run with. They come in all shapes and sizes but there are two things they have in common over someone who is just a small business owner. One is they identify themselves as an entrepreneur, the other is that they are growth focussed. The serial Entrepreneur an entrepreneur that starts, builds and sells a series of businesses. They are seen as just fascinating projects, rather than their life’s work. They are passionate about what they are doing, but at the same time emotionally detached i.e. they would sell any business tomorrow if the right conditions were there. The Dealmaker is a special class of entrepreneur that is actually more likely to come from the ranks of large corporates than from a traditional entrepreneurs background. Their skill set involves buying and selling businesses and securing finance. They are interested in undervalued assets, emerging opportunities or unrecognised synergies. They make their income from single digit profit percentages off very large transactions, not operating the businesses. Who were the panellists and what were they doing? Justin Reeves is the General Manager Supporter Services, Collingwood Football Club. It is the largest football club (all codes) by membership in Australia history, with 70,000 members. They also believe they engage around 400,000 through their website and other facilities and believe about 1.2M Australian’s would respond “they barrack for Collingwood” if asked. At this size the club is no longer just a social club . It doesn’t allow player access any more, has replaced volunteers with professionals at every level. It is looking the club and league to understand how it can grow. Kelly O’Shanassy is the CEO of Environment Victoria a state based not-for-proft group that advocates for a better environment. It was formed 40 years ago, by 18 different environment groups that came together. In 1994 it opened itself up to individual memberships. It now has around 20,000 members who keep their membership for 3-5 years. Sarah Adams – who is the Marketing Manager of Artshub an international, for-profit Arts community that is based in Melbourne with around 7,000 members. Subscriber is just a revenue model for customers, regularly used by membership organisations, and normally called “membership fees”. Simply having subscribers doesn’t make you a membership based organisation. Members have a sense of team, they dress up or show their allegiance and have a sense of shared purpose or passion and ownership. Membership organisations allow their members to become involved. This is why Foxtel, although it has hundreds of thousands of subscribers, wouldn’t be considered a membership based organisation. Interestingly the Arts industry has a very high level of unemployment. One of the reasons that Artshub is successful is that it allows its members to be engaged in their industry, even when they are unemployed. Most members feel a very strong sense of ownership, however this generally doesn’t translate to a desire for a governance role. This is why there is traditionally almost no one at Annual General Meetings. Provide members a clear understanding of their entitlements, even in times of change due to exponential growth. Have lots of ways their members can become engaged ( the ultimate engagement where members get to choose what they can do, but this is difficult, if not impossible to achieve). Have lots of different offerings, dependent on members desires and provide value at each offering along the membership path. Professional Membership today is no longer about a community or social club, that provides access access to talent and is run by volunteers. Its an Organisations that employs professionals to become great at what it does and constant seeks insights from members on how to provide value. Member based businesses generate revenues in many ways, however membership fees are usually only a minor part. Environment Victoria – Membership Revenue is only around 1%, whereas donations make up around 13%. Artshub – Membership Revenue is only a tiny percentage most, revenues are from advertising sales and services. Grants – to support your group. Membership Fees – Lot of packages, to meet lots of different types of member needs. Services such as training & accreditation. Branded Product – T-shirts, Caps etc. Support Products – Soft drinks etc. Alliances – Football clubs also get fees from the venue and the AFL. You can also achieve cost saving s through volunteers doing work. Its not ok to sell membership lists though, as privacy laws may prevent it, its generally immoral and when it has occurred in the past, it didn’t have a happy ending as it upsets members. It is okay to sell advertising space, in your newsletters though. Sponsorships are becoming harder to achieve, which is why more energy is being put into membership by the football clubs. Dynamic pricing (each person gets a different price) for games is becoming popular in the USA. They AFL is currently doing a study into this locally, however the Clubs and the AFL don’t own the stadiums, so its primary a venue revenue issue. Can you pick up members with free or cheap offerings and then up-sell them? Not really. There are no entry level products and membership path, just different value offerings for different demographics and desires amongst members and potential members. Free services, such as Twitter feeds are in many ways more of a marketing offering than a membership offering. However for every organisation it is different. Environment Victoria sees its free knowledge sharing as its entry level product. There is no membership path that starts with a free or introductory offer in a true membership based organisations. There are just lots of different ways members want to engage. Clever organisations design lots of membership packages so members can engage in the way that best suits them. Regular professional research leading to insight around current and future member demands is what sets Collingwood apart from other clubs. They know all the ways members want to engage, and design a package for everyone. Collingwood does not make decisions around membership by gut feel. Value has to be there for all offerings. Remember that offerings can be very organisation specific. E.g. a membership offering by Collingwood, wouldn’t necessarily work for other clubs – In fact other clubs have looked at the Collingwood offerings, and rather than do their own research, they made emotional decisions, introduced packages and failed. Environment Victoria can’t afford market research, but knows from profiling that’s its members are skewed to the richest and poorest in society. Therefore, it pushes donations (tax deductible of course) as a way to achieve outcomes as an offering to its affluent members and volunteering to the less affluent members. Even when an organisation has explosive growth, members should be able to access a variety of different offerings, and clearly understand their entitlements, therefore design cannot be random and you need to know your limits. E.g. the Legends offering is capped at 9,000 members – not to make it exclusive, but that’s all the club can cater for. Arbitrary exclusivity for marketing purposes doesn’t go down well with members. Offering a free knowledge or education product is a great offering for all organisations to have as it provides value to those that currently want a light level of engagement, and it tests where interests may lie. The key though is to make it easy for people to get engaged. Getup has done this and now boasts 400,000 members. Many traditional organisations are slowly dying, e.g. The problem was asserted as they haven’t determined how to continue to provide value to a changing demographic or potential members and adapted. This is the key to attracting membership both now and in the future. Youth are always seen as exiting as and valuable as they provide a future to organisations. Other State Environment groups, are generally only available to environment groups, mostly full of old people. This is seen as dangerous. Differentiating and focussing is also important. For instance the Age Online is a competitor to Artshub, however its not focussed just on the art scene, has too much tabloid journalism, to many adds and appears to be shouting at you all the time. But at the end of the day, getting members is all about asking people to join, its the only thing that works, however you must do this in sophisticated ways. You should also have a very clear of the average lifespan of membership and the average value, so that you can look at the true ROI of your membership campaigns. Always design your campaigns to be measurable and asses their performance. The Football industry has traditionally is terrible at measurement of activities, and feels it is only now catching up. Member get Member campaigns are always useful as your members will always know others who are passionate about the same topic, but they must be carefully constructed not to alienate members. The radio station Triple R has successfully used guilt to turn listeners into subscribers. Which is play on the amount of social capital you can derive from being a member. Supporters won’t change clubs but the AFL is now effectively a competitor as well as a clubs biggest partner. There are now 47,000 AFL members. Its difficult to run an organisation of highly passionate supports. Lots of agendas and very loud people. If you want to take a leadership role, be prepared to take flack. So how do you form effective alliances? It appears that the answer generally is to form short term partnerships, to address specific campaigns or agendas e.g. Vic Farmers Federation and Environment Victoria come together to address a water issue. In this case an unusual partnership between normally arch enemies, gives credibility to agendas. Social Media is a fantastic tool for growing and retaining membership, especially for resource constrained organisations. It provides an easy and accessible membership offering for those that are only comfortable with a very light level of engagement and in many cases it provides the initial engagement with an organisation. Most organisations now announce new editorial content on Twitter and have Facebook fan pages. Facebook is also heavily used for running competitions and announcing give aways. Social Media is a great driver of new visits to an organisations website. Environment Victoria’s visit increased by 8,000 unique visitors a month when they added social media as a communications channel. Footy generally has been a late starter with Social Media, which means its a great opportunity for the sport. Buying some kayaks was phase one in the plan to spend more time outdoors with my family. 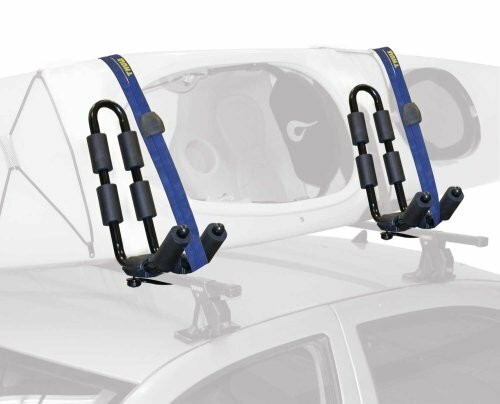 Phase two was buying some kayak carriers to mount on the roof racks, after discovering that two kayak’s are just too wide for the average roof racks. So after looking at some outrageous prices for bent pieces of metal covered in foam in a couple of stores, I went to eBay to have a look at what people were selling. I found what I was looking for, set a maximum bid of $103 for a set and waited to win. But it wasn’t to be, as the kayak carriers went for $120 with a couple of people bidding past my maximum. But after losing, things got interesting, which is the point of this article. The seller actually had quite a number of kayak carriers to sell, but rather than run a series of auctions, they ran just one, and used it to draw out the the identity of a number of potential customers, with the maximum price each of them was prepared to pay. They then then contacted every “runner-up” who had a maximum bid over the sellers minimum acceptable price, and offered them the goods at that price i.e. their maximum bid. A new twist on dynamic pricing model, that leave no money on the table! Apparently this activity “is in compliance with eBay policy”, despite the fact that if my hypothesis is true, its highly likely to enrage the winning bidder as he will feel cheated. However since this transaction is a one off of minor value and they are not chasing customer loyalty. So I think that running the risk of making the winning bidder angry probably isn’t that big a deal, as customers get angry all the time – e.g. when a sale starts the day after they purchase. But then again deliberately behaving in an ethically dodgy manner is never a good idea as its all to easy to become a habit, up until the moment you find you are actually Arthur Daley. And representing an item as a one off, or scarce resource, when you know that’s not the case is certainly dodgy. eBay does however continue to fascinate me as I become more and more aware of how it is being used to gather market data such as price sensitivity, rather than just a platform for flogging goods. However that fascination causes me to sit in front of the computer, rather than get outside with the kids, which is why I bought the kayaks in the first place.